What Happens if You Eat Too Much Salt? What are the risks of eating too much salt? Is salt a staple part of your meals? For many people the answer is yes, and if it’s not, you’re probably still eating more sodium than you realize. Sodium is needed to keep your body functioning the correct way, by regulating blood flow, blood pressure, digestion and transmit messages going from nerves to muscles. Salt can be considered necessary but what happens if you eat too much salt? Salt and high blood pressure go hand in hand. 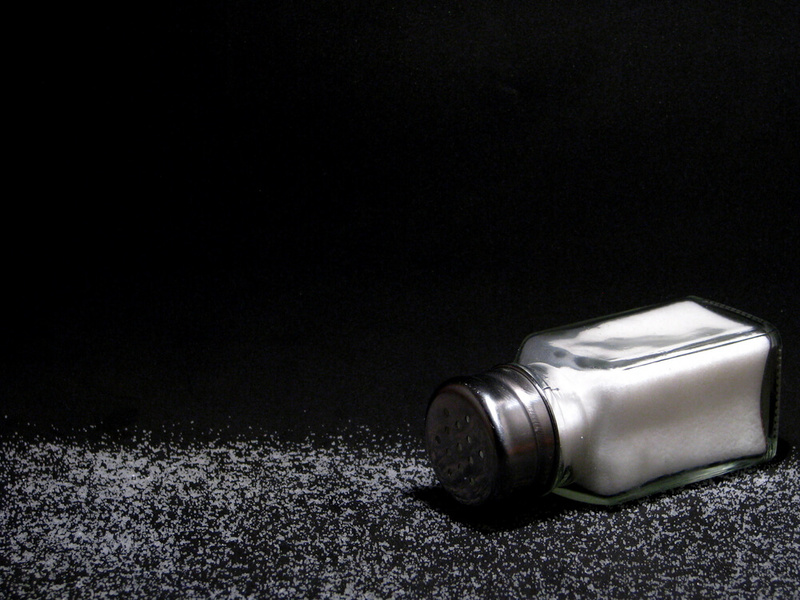 Click here to learn the benefits of eating a low sodium diet. When you are eating too much salt, or too high of a sodium diet, it can create adverse effects on the body that can cause problems for later in life. Here we’re going to address too much sodium symptoms that may be visible or not as well as what happens if you eat too much salt. Foods that are highly processed are extremely high in sodium allowing those who don’t even know it to eat a high sodium diet. Too much sodium symptoms can mean that your body has extra water making you use the restroom more frequently as well as swelling of the outer extremities. When you exhibit too much sodium symptoms you may notice that your hands, arms, feet, ankles and legs are swollen which means that more blood flows through the veins. This symptom can lead to high blood pressure because these parts of the body begin to stiffen after receiving excess amounts of blood flow. In general Americans consume large amounts of sodium daily, nearly 3,400 milligrams this is around 2,000 milligrams more than recommended which means that salt and high blood pressure are a serious concern. As stated above, too much sodium in the body can lead to more fluid in the body which makes your heart run faster and pump harder. High blood pressure can cause complications such as a stroke, blood clots and diseases such as heart and kidney. Ridding your body of high amounts of sodium by following a low sodium diet can lower blood pressure and risks of complications. What happens if you eat too much salt? Your body consumes more water. One of the more obvious signs of too much sodium is being excessively thirsty. When you eat too much salt you’re thirsty because your body is trying to regulate the ratio between sodium and water. Things like chips, spaghetti sauce, pizza and fries contain a lot of sodium and when consuming a lot of sodium, the body needs water. Instead of grabbing a soda, opt for water to keep your body running. What happens if you eat too much salt? Your body swells. This means that in the morning your body looks and feels fuller, which is a condition called edema, swelling of the body’s tissues. This means that the diet contains too much sodium and can be easily corrected by cutting down on the intake of sodium. What happens if you eat too much salt? You can get kidney stones. When there is too much sodium in the diet, the kidney has to work harder because of the amount of protein that is produced and shown in urine. The higher amounts of protein in urine, the higher the risk for kidney stones. Other signs and symptoms of too much sodium can be noted by stomach ulcers and brain fog. If you are unsure how to control the amounts of sodium that you are consuming, it may take a few lifestyle changes. Lifestyle changes to reduce amounts of sodium consumed can mean cooking at home more often. Restaurants like processed foods, put a lot of salt in their food to make it taste better. Cooking at home and using minimal amounts of salt while cooking can drastically reduce the sodium intake in a day. Another great way to reduce salt intake at home is to purchase a small salt shaker and use only around a half a teaspoon when cooking. Taking care of your body should be a number one priority and limiting the amount of salt consumed can help avoid health complications and increase quality of living.